The M23 Door Mount was used to arm the Huey with M60 machine guns. These guns were often used for defensive fire when evacuating causalities and as support for ground troops. Includes 24 LEGO® and BrickArms® elements and a set of full-color printed building instructions. 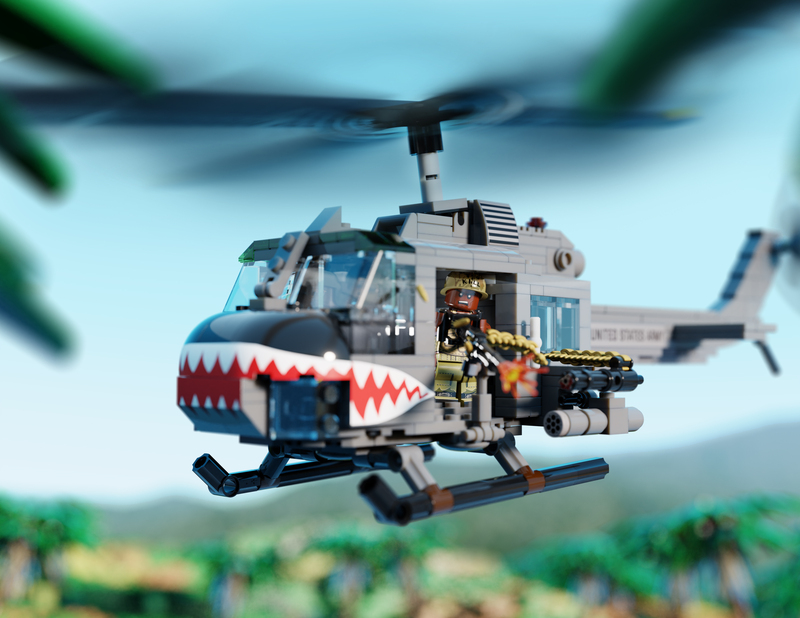 This accessory was designed to accompany the Brickmania UH-1D "Huey" - Multipurpose Utility Helicopter kit.